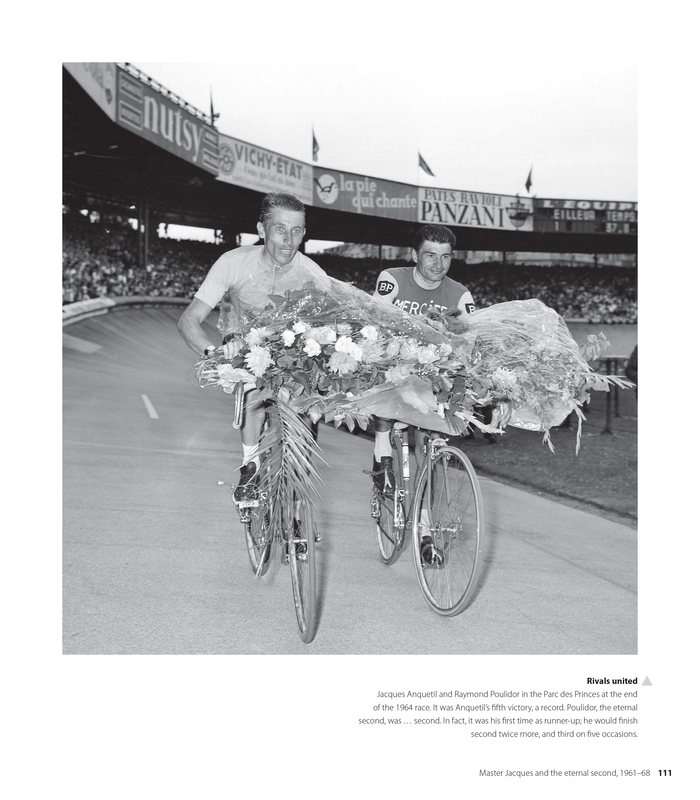 Jacques Anquetil and Raymond Poulidor in the Parc des Princes at the end of the 1964 race. It was Anquetil’s fifth victory, a record. 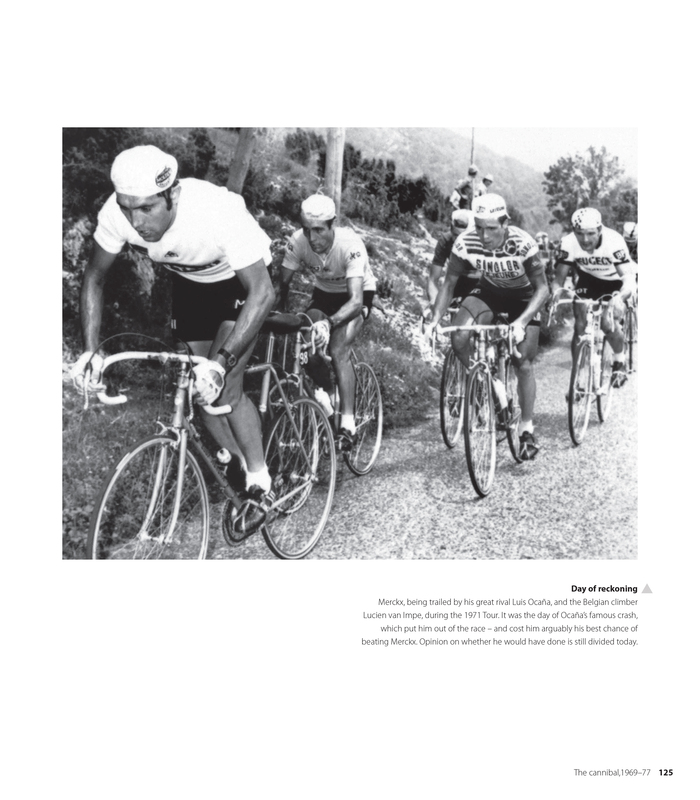 Poulidor, the eternal second, was … second. In fact, it was his first time as runner-up; he would finish second twice more, and third on five occasions. 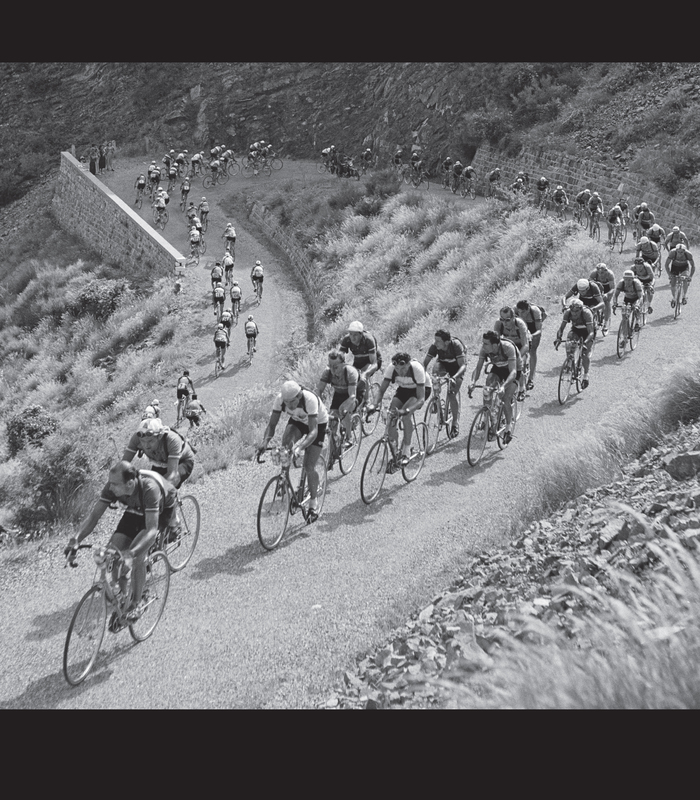 These photos can be found on page 111 of Tour de France 100.